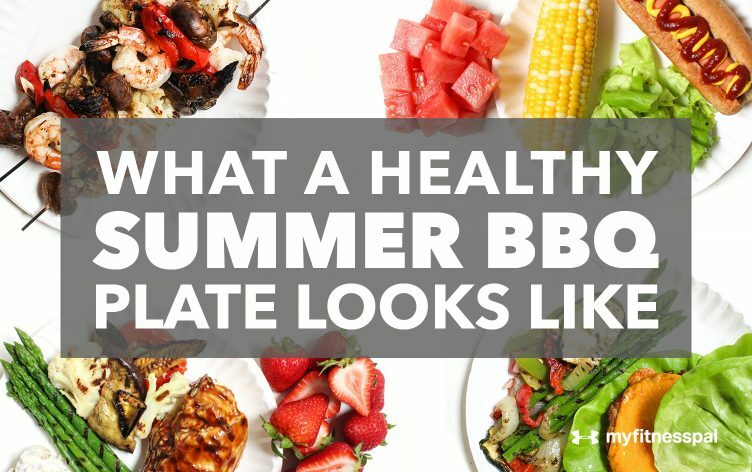 Navigating summer barbecues may seem like a daunting task when you’re trying not to undo all the healthy eating you’ve been doing all winter long. Yes, you can still be swimsuit-ready and enjoy poolside parties without going overboard on calories. Below you’ll find examples of what a healthy, but satisfying, summer cookout plate looks like at four different calorie counts. First, some quick tips: Make sure at least half your plate is filled with fruits and veggies, then add protein and a whole grain or starchy vegetable if you’d like. Grilled chicken and fish are great lean protein options, too, but don’t deny yourself that hot dog or burger if you’re craving it. Most important, pay attention to portion sizes. We won’t tell you to avoid potato salad at all costs or swear off any food you really love; just stick to reasonable portions and make sure you’ve got veggies and protein mixed in.